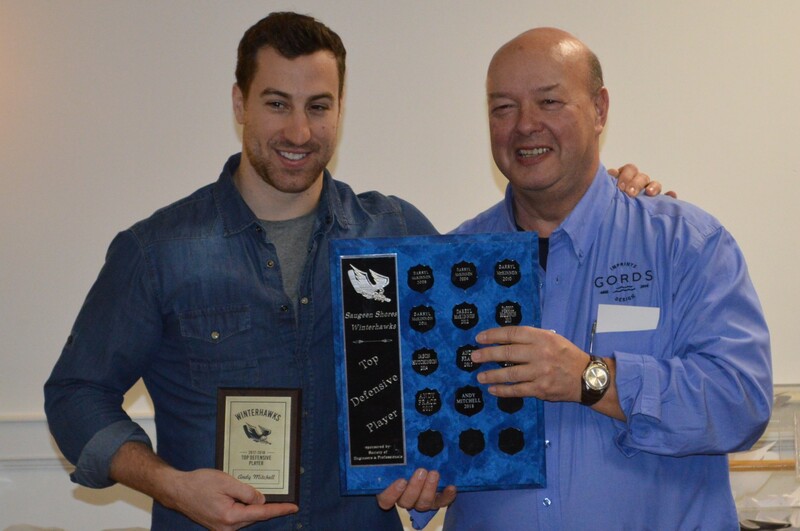 Miles MacLean came away with three awards as the Saugeen Shores Winterhawks wrapped up the 2017/18 season with the annual awards banquet. 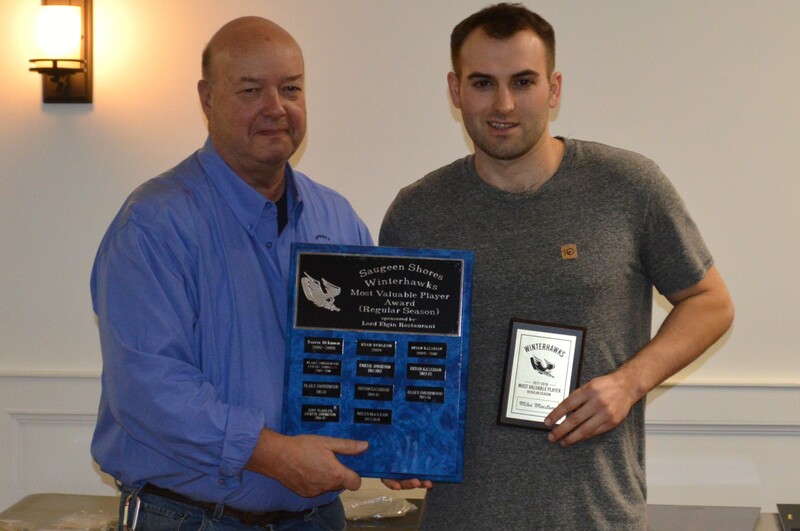 MacLean picked up the most valuable player awards for both the regular season and playoffs, as well as the award for leading the team in scoring during the regular season, with 27 points in 15 games. 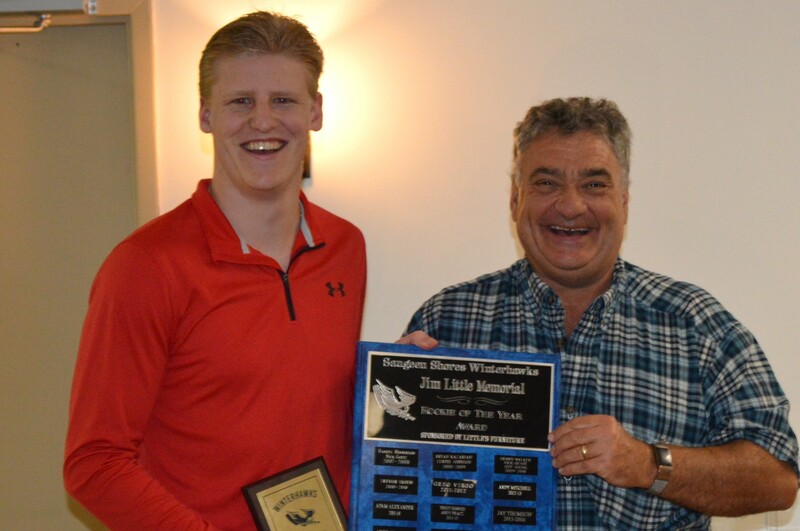 Defenceman Josh Hopkin was a dual-winner on the evening, taking home the Jim Little Memorial Award as the rookie of the year, as well as the Top Defenceman Award. 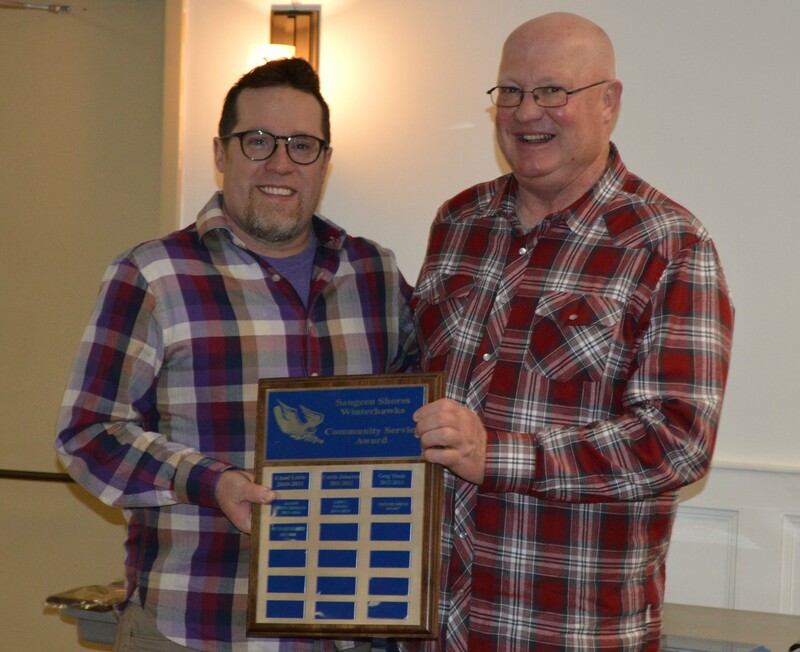 Richard Harris was recognized with the Community Service Award for his countless hours committed to Saugeen Shores Minor Hockey and Social Athletics of Saugeen Shores. Andy Mitchell picked up the Top Defensive Player Award for his tenacious penalty killing, going along with 17 points in 16 games. 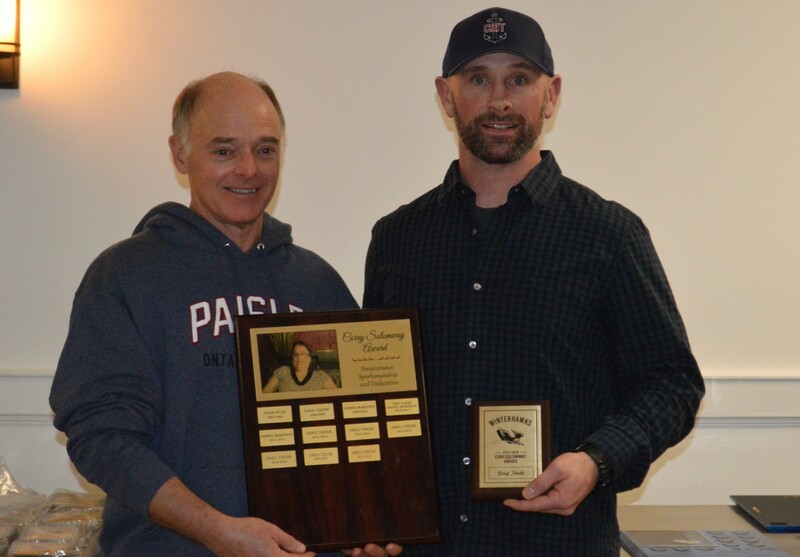 Captain Greg Thede took home the Corry Solomway Memorial Award for his perseverance, sportsmanship and dedication to hockey. The Most Dedicated Winterhawk Award went to four individuals who have committed countless hours to the team over the years. Head Coach Jim Grieve, assistant coaches Mark Kazarian and Barry Hall and Goaltending Coach Dave Rosner worked tirelessly over the years to help the team achieve its goals. We wish them nothing but the best as they move on to the next chapter. During the banquet, the team announced the hiring of alumnus Matt Turcotte as the team’s new head coach. The executive of the Saugeen Shores Winterhawks thank all of the fans, sponsors and volunteers who make it possible for us to put a team on the ice. A huge thank you the players and coaches and support staff who put in countless hours of dedication every season.